Beautiful flowers were planted in the garden at the park for the summer. Mr. And Mrs. Puri, generous contributors to the Garden at the Park, are shown with Trustee Siegel. 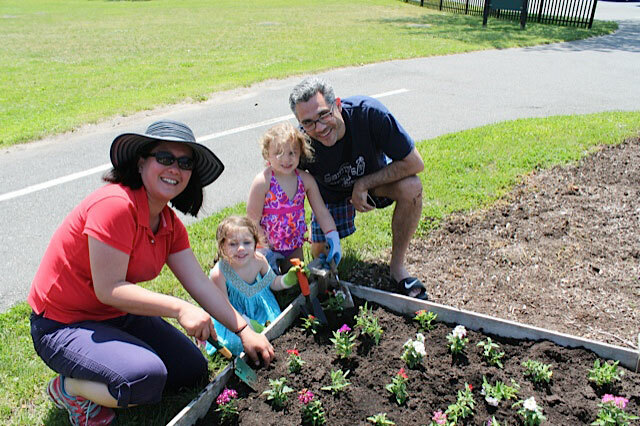 Family Fun- enjoying the gardening program at the Park! The mayor and Board pause to support the brave soldiers who defend America. The board paid homage to those who have served and are serving our nation. 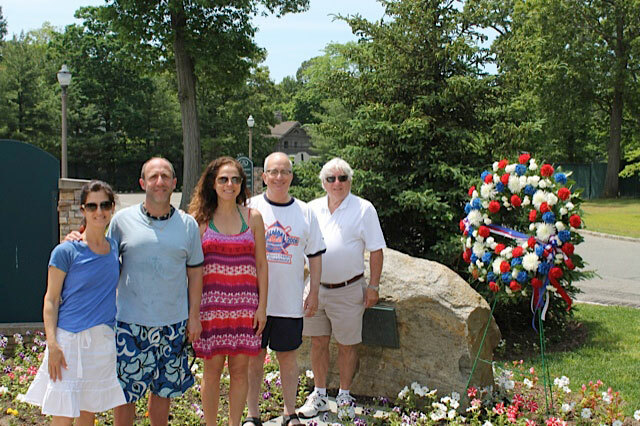 Shown with the Mayor, on the right, are, from L-R, Trustees Stacey Siegel, Brian Meyerson, Clara Pomerantz, Deputy Mayor Manny Zuckerman and Mayor Michael Koblenz.